A class composed primarily of young singles, college age and young married without children. A class composed primarily of parents with babies, preschool and grade school children. A married adult class, the members of this age group have children ranging in age from middle school to high school. Even though the majority of adults who attend this class are married, the single adult members of this class have found a home too. Made-up of what society has nicknamed “the boomers,” this class has an identity of fellowship within the class. Ladies class whose teacher has a love for the scripture which is evident in her Bible studies. Men’s class of many mixed ages taught by a seasoned teacher who has a great understanding of men and the Word. 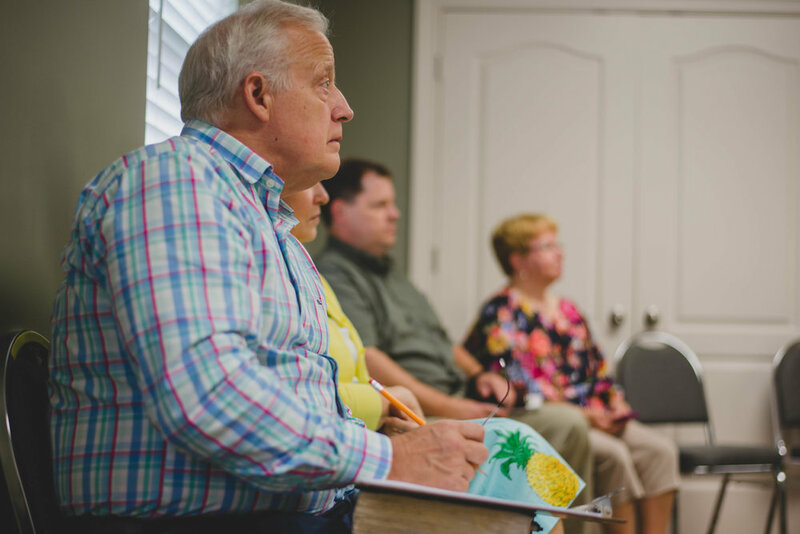 Middle aged adults make up this class, their teacher is a retired pastor/hospital chaplain who has a love for the scriptures as well as a gift of teaching and insight. This class is known for the way they encourage and look out for each other, and has a mix of married and single adults. A mix class of married and single, older adults. The Believers enjoy studying the Bible and have a good time. The Lady Prayer Warriors Bible Class primarily for single and widowed ladies. A class known for laughing and having fun. They probe deep into God’s Word and are known for the strength of their prayers for each other and the church.